It happens every day – a person or company takes a great idea and opts to launch a new product or service. Once the big idea – from branding, product design, packaging, website design and development, and point-of-sale components – is complete, how do you build excitement among, and engage with, the product’s target market? From digital marketing and SEO to traditional public relations and events, there are many strategies a brand should consider in its product launch campaign. At the core of this deliberation is how to reach your target audience in the most impactful way. As a leading New Jersey marketing and public relations agency, M studio has experience introducing, as well as re-introducing, products in a way that resonates with consumers. We offer our clients consultation on the most effective ways to build anticipation and engagement with target demographics that lead to a measurable return on investment. Currently, we are working with leading art materials manufacturer Winsor & Newton on the launch of its revolutionary new line of Pigment Markers. In order to meet their goal of introducing the product to professional artists, designers and illustrators, we collaborated on a comprehensive campaign that included influencer marketing, media relations, traditional public relations and event management. We researched industry-leading artists and illustrators in the fields of fashion, product design, architecture, and comic book illustration who have a strong social media following and create content on a regular basis. It is important to note that in a campaign of this nature following alone is not the determining factor, as audience engagement and influence are two key performance indicators brands must consider. After developing a go-to list of professional artists, influencers and bloggers, our agency conducted mailings to select contacts that included product attributes and campaign messaging by which we could measure our efforts. Simultaneously, we developed public relations stories around the product and conducted media outreach with target publications. 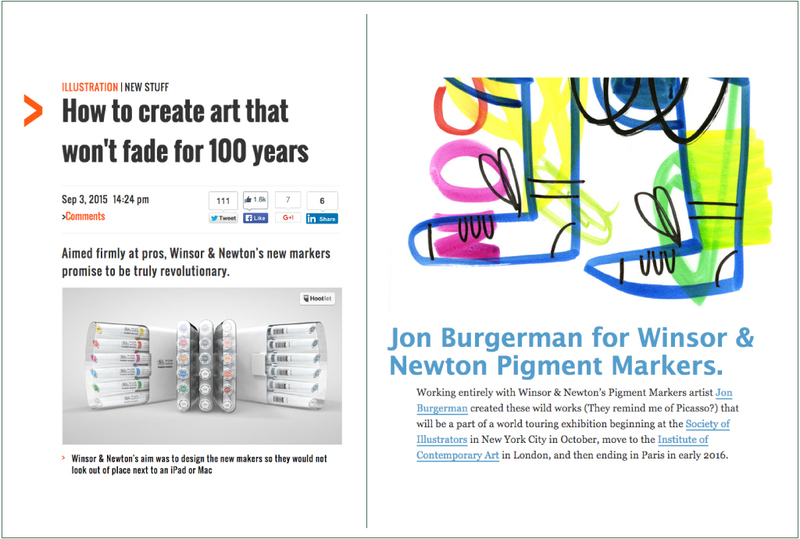 From artist profiles to product reviews in publications like Creative Bloq, philly.com and Supersonic Art, media endorsements publicized the Pigment Markers attributes and availability, as well as its standing as a premium tool for professional artists. Through product seeding, media outreach and events, we are reaching local and global audiences with a cohesive campaign message. 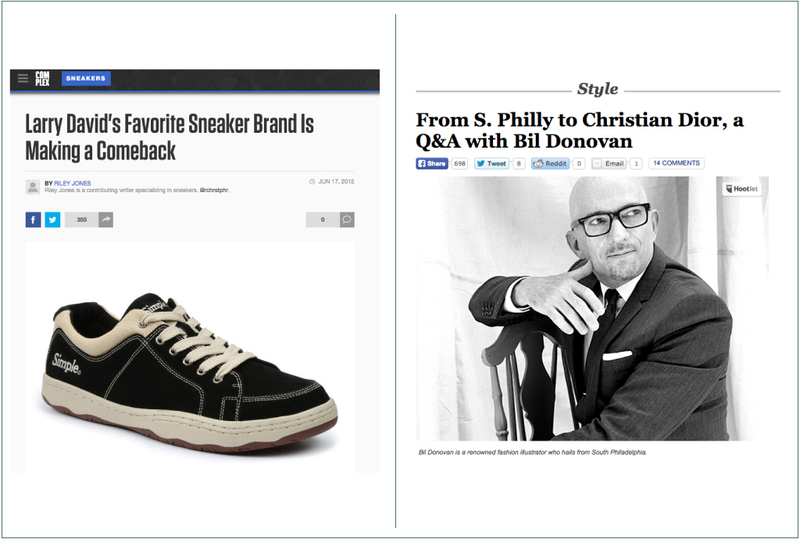 When it comes to product launches, however, announcing something “new” isn’t always the case. M studio was tasked with re-introducing the nineties sneaker staple Simple Shoes to its core group of loyalists earlier this year. After nearly a decade off-the-market, the brand needed to build anticipation around its return. There was a preexisting core audience who loved the brand and the challenge was to determine the most effective way to reach them. Collaborating with our client, we developed a Kickstarter campaign to reach brand loyalists and the strategy was two-fold: offer long-standing enthusiasts access to the product before it becomes available to the public while also introducing the brand to a new generation of consumers. When re-introducing a brand like Simple that is known and loved by people around the world, creating the right voice and message is critical. Our team drew great inspiration from the brand’s enthusiasts; their voice became the voice of the campaign. From here, our video team developed a concept that spotlighted consumers’ comments and pleas to bring Simple back which became the foundation of our Kickstarter campaign. Digital marketing, social media and tradition public relations components communicated campaign messaging and effectively announced the Kickstarter campaign and Simple’s return to market to consumers around the world. The result was a Kickstarter campaign that was fully funded in 24 hours and exceeded the overall funding goal by more nearly 500 percent. By creating and managing a campaign designed for Simple’s audience, we were able to produce immediate, measurable outcomes in the form of pledges, media coverage and direct communication via social media and e-marketing. Long-term results included reinvigorated marketing platforms by which to communicate Simple’s fall 2015 launch. What is your campaign message? Identify what makes your product or offering unique and how you can best position yourself in the market. Do you have a launch calendar in place? Determine when your product will launch and your marketing lead times to ensure your message gets delivered in the appropriate time frames. Who is your audience and what is the best way to reach them? Look at where your target market gets information, how they interact on social media and what publications they read. This will help determine the appropriate channels by which to reach them. What content and visual assets will you need and how often will you share and engage with your audience? Determine the messaging and visual components you will need to create content over time and steadily build loyalty from consumers. How will you monitor your data and further develop CRM? Review data from your campaign hubs, which may include social media channels and e-marketing metrics, to further identify your target market and extend the longevity of your campaign.